New data from the Consumer Product Safety Commission showed that the average annual number of drowning deaths involving children younger than five in pools and spas has increased from 267 for 2002-2004 to 283 for 2003-2005. I realize the data was presented in a bit of an odd way, and pool industry officials even questioned its significance. They also pointed out that deaths per pool have actually gone down if one considers the increase in the number of pools put in. Yet one thing is clear: 283 annual child drowning’s is not a number anyone’s happy with. Safety officials said most accidents happen in residential settings, when a young child wanders off for a few seconds and no one is watching. And these days, the article makes clear, you don’t have to be mega-rich to have your own backyard pool: Large, inflatable pools that hold hundreds of gallons of water can cost several hundred dollars or less, and some consumer advocates say they can pose more of a risk than a traditional pool. Reporting the story, I was reminded of a good message for all juggling parents: A few seconds of inattention is all it takes. The 2-year-old son of Stew Leonard Jr., quoted in the article, drowned even while a large group of adults was gathered around a pool. He now promotes water safety through a foundation set up in his son’s name. These days, Mr. Leonard told me, he fears adults have even more distractions. “All of a sudden they are looking at their BlackBerry or texting somebody – that’s all it takes. One email at the pool and you are not watching your kid,” he says. For working parents, it can often be a caregiver or another mom who’s watching kids around the local pool or at a home. The article was a reminder to me to go over water safety rules with sitters, my husband and my parents, which basically boil down to: “Don’t take your eyes off her for a second.” (We don’t have a pool at our house, but do have one in our townhouse complex. Fortunately, it’s well secured and too far away for my daughter to wander over.) The article also made me wonder about our plans to send my daughter to camp in June, in a program that will involve lots of kids in the water. While the lifeguards and counselors are trained, they are still young and relatively inexperienced. On the flip side, it’s safer in the long run if she learns to swim early. 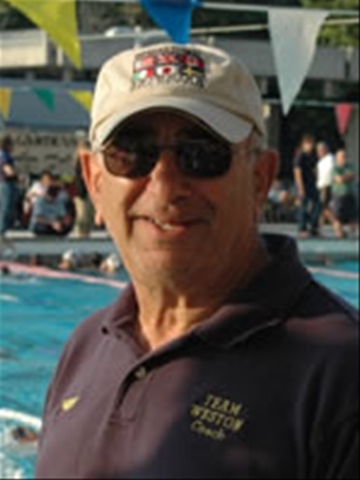 Coach Ginny Spagnuolo who has taught thousands of children to swim and taught water safety for Broward County Schools advocates swim lessons as early as possible. There are many learn to swim programs offered, make sure that the program has qualified certified instructors and that the student teacher ratio is low. One of the best learn to swim programs that she recommends is “Swim America”. This is a program born out of the American Swim Coaches Association. 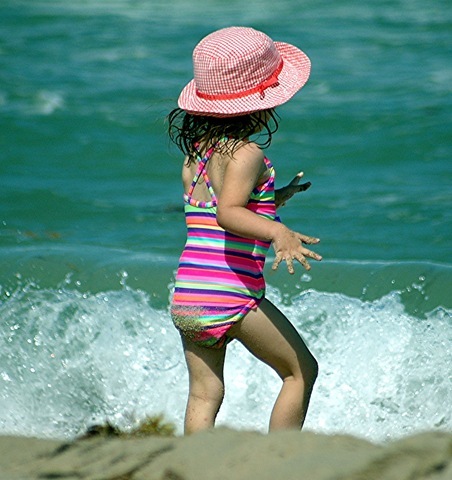 Readers, what are your ground rules when it comes your caregivers and kids around water? Any qualms about swim camps or your kids playing at a neighbor’s pool when you’re not around?